Featuring Our Famous Wood-Fired Steak! 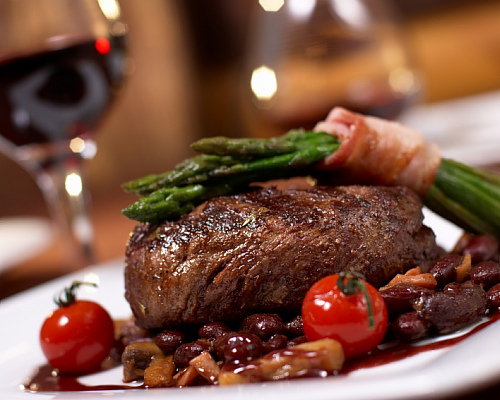 After a day out in Niagara Falls, enjoy a fine selection of world-class cuisine at Coco’s. We perfect our steaks, chops and burgers using our flaming open-hearth grill, giving you a savoury and flavourful dish for you to enjoy. Fresh baby spinach, red oak, and frisse, dried cranberries, sesame seeds, grated carrots, topped with feta your choice of raspberry vinaigrette or balsamic dressing.